What comes to mind when you think of the word “source”? Chances are you picture images and hear sounds of water. Maybe you see a waterfall you admired on a hike through the Appalachian foothills, or perhaps you hear the trickle of a shallow neighborhood brook, or the massive collapses of Gulf Coast waves. For most Americans, water is a plentiful resource, and we may not even think twice about it. It’s abundant in our homes, in our schools, in our workplaces, and even in our refrigerator doors. Barring unexpected disasters, it’s always running and always available. However, in Hispaniola—just over 700 miles from Miami—that’s not the case. As a brief geography refresher, Hispaniola is made up of Haiti to the west and the Dominican Republic to the east. With roughly 10 million people in each of its countries, it is the second largest, and most populous, island in the Caribbean. Despite a booming tourism industry, the island is largely riddled with poverty, which continues from generation to generation. After all, World Water Relief’s tagline is, “Water is life.” And for the estimated 60,000 people the filtration systems service, the motto is more than a catchphrase—it’s a matter of life and death. According to World Water Relief, there are more than 840,000 water, sanitation, and hygiene-related deaths each year. Thankfully, “by the largest stroke of luck,” no systems were damaged or became inoperable during Hurricane Matthew. The magnitude of the water crisis came to Jennifer’s attention through her husband, Kevin. As a bright-eyed pulmonary and critical care physician fresh out of training, Kevin found himself pulled toward different medical humanitarian organizations. Traveling with a medical team to the Dominican Republic in 2006, and making a return visit in 2007, he realized he was devoting a lot of time to treating waterborne parasite illnesses. He knew if he could get to their source—the water—he could make a change. And World Water Relief was born. Today, over a decade later, Kevin and 22 other passionate individuals keep World Water Relief and its 30 filtration systems throughout Hispaniola operating. The mission is simple but the task challenging: provide safe, filtered water and education to the students and communities in the Dominican Republic and Haiti.At the crux of the mission is WASH (water, sanitation, and hygiene) education, because without intentional, structured guidance, World Water Relief’s work and safe drinking water become null. “It's really one of the reasons I think we are so successful in eradicating waterborne illness. The true mechanism for change is children because they're little sponges; they take it all in,” says Jennifer. 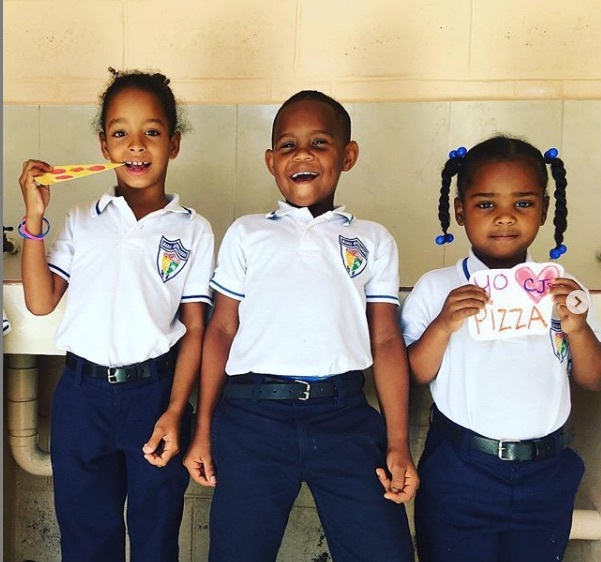 Through lessons and extracurricular activities like Club Agua, World Water Relief team members teach students the benefits of hand washing, sanitation, and safe drinking water. They offer engaging lessons while hosting friendly competitions and quizzing pupils to measure retention. World Water Relief is constantly monitoring its impact on the students and on the surrounding communities as well. And it’s working. “The people are appreciative. They can see the benefits in their health. It helps them break the cycle of poverty because when they're not sick, they can go to work, or they can stay in school, and that helps them further down the line. It's allowed us to increase the impact we have.” That’s why starting at the source has become the key to World Water Relief’s mission. As they paddle through the challenging currents of poverty, government red tape, fundraising, and disease, undeniable results and passion for the local people keep them afloat. To find out more about the mission of World Water Relief and how you can get involved, visit worldwaterrelief.org.